Walsine Pierce: SPELT? WHAT'S SPELT? I Hate Ignorance! I know a lot of people who missed this exit, don't you? I REALLY HATE BEING IGNORANT! Every so often there are new food ideas on my web page. As a would-be cook, I always read them. Recently there was an article on spelt. Uh, S P E L T, what's spelt. I asked Julie if she had heard of spelt and she said the coarse, high fiber bread I toast every morning of the world is made from spelt. I enjoy the coarse toast but I mostly eat it because it is free from sugar. Almost all the food in America has sugar, most of it a lot of sugar. This bread has loads of other health benefits as well. It is called Ezekiel 4:9 and we just refer to it as Ezekiel bread. Ezekiel 4:9? "Take also unto thee wheat and barley and beans and lentils and millet and spelt, and put them in a vessel, and make bread of it" Spelt is again mentioned in Isaiah 28:25 where the people are told to plant spelt around their other crops. I AM NOW A BIT LESS IGNORANT! Julie told me I'd have to go to a health food store to buy spelt. Whoa, Nelly! I stay out of those health food stores. THEY ARE SERIOUSLY EXPENSIVE! Unless a person had a serious health problem, I cannot imagine anyone buying their food at a health store. Yet, there are several stores in the area and they are usually crowded with people carrying out multiple bags of purchases. 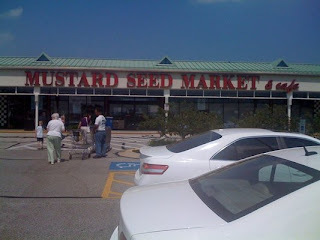 I went to the Mustard Seed Market for my adventurous outing. I AM NOT AS IGNORANT AS BEFORE! It was an adventure. I did not have the slightest idea for what I was looking. In addition to the spelt flour and spelt flakes, the receipts on the web called for TOFU and TUFUTTIE, both new to me. I learned a lot. Mostly, that my existing knowledge of food store prices being outrageous was recomfirmed. The flour was maybe two cups, the flakes about the same, the tofu a cup and the tufuttie maybe a half cup. The costs? Would you believe nearly $17.00. No, this was not my most expensive adventure, but it would be one I would not repeat. I normally buy two GIANT boxes of cherrios at Sam's for arount $5.00. BUT, HOW DID IT TASTE, WALT, HOW DID IT TASTE? I had four receipts to try, Pumpkin Bread, Single Lady Muffins, Snickerdoodle Pancakes, and Cookie Dough Baked Oad Meal. I tried the oatmeal. It had a distinctive "nutty" flavor which was alright. It was no better than regular, old fashion, slow cooked oat meal, which is far, far cheaper. The muffins, well, "I have seen my duty and I have done it", about tells the story. The Cheesecake Frosting made from the Tofu and Tufuttie was alright, but the texture was not smooth and the taste was just so-so. Will I ever fix any of this for Julie's breakfast? No, Julie rarely shares in my adventures in life, although she fully supports all my foolishness, and thats saying a lot. I'll work the ingriedents away and be poorer but wiser. I also learned that in Horace's Satire, the Country Mouse serves the City Mouse fine food while feeding his own family spelt. Yes, yes! I am much wiser now! I can now have empathy with the Country Mouse's family. Un Huh! 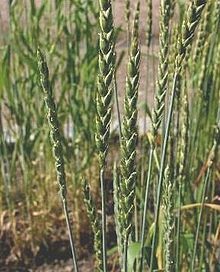 The earliest archoeological evidence of spelt, a hybridisation of domestic wheat and wild goat grass, is from the fifth millennium BC. Seems I'm always on the threshold but can't make it through that door to the temple of wisdom. I'll keep on a'try'n.